Pre-workoutActivlab Nitro Caps - 120 kaps. Activlab Nitro Caps - 240 kaps. 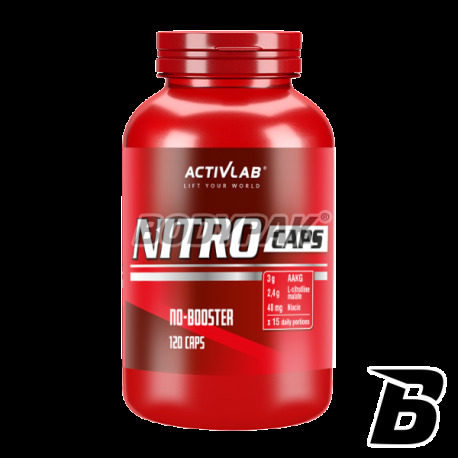 Activlab Nitro Caps is a supplement that provides ingredients to increase the production of nitric oxide (NO) in muscle cells. NO dilates blood vessels, increases blood flow and muscle size - the effect of "inflation" muscle. 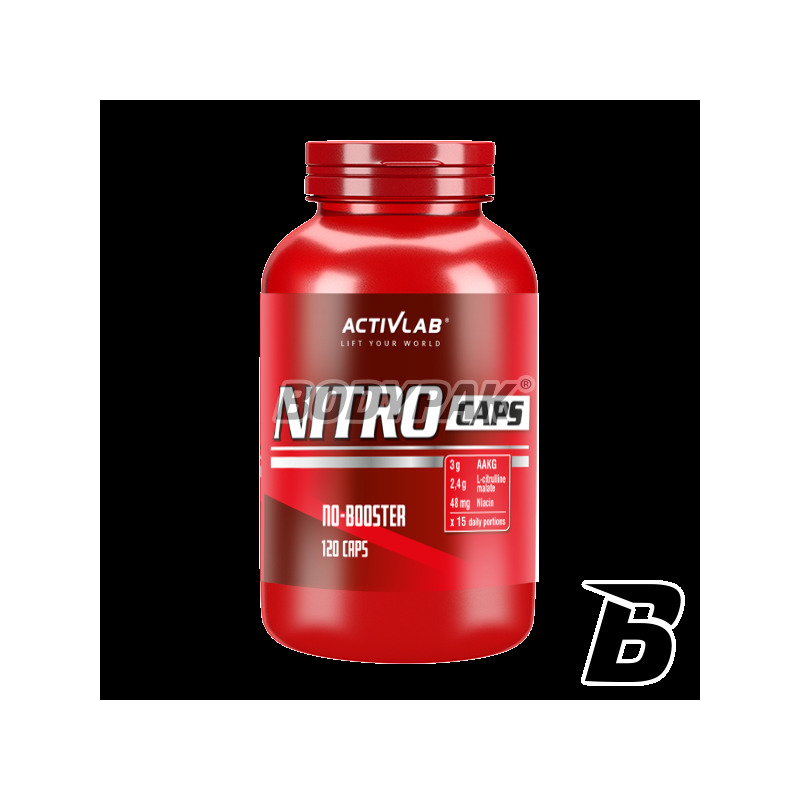 ActivLab Nitro Caps improves blood circulation, improves nutrition of muscle cells and stimulates muscle growth subjected to physical exercise. ActivLab Nitro Caps is a formula, the effect of physiological activities is to strengthen the potency and sexual performance. Składniki: Alfa-Ketoglutaran Argininy, Jabłczan Cytruliny, substancja wypełniająca - skrobia ziemniaczana, substancja przeciwzbrylająca stearynian magnezu, nikotynamid, otoczka (żelatyna, barwnik dwutlenek tytanu). Nieźle poprawia wydolność oddechową i wytrzymałość. Świetny preparat dla biegających i cyklistów. U mnie poprawiły się parametry ciśnienia krwi. Super pompa na treningu za niewysoką cene! UNS L-norvaline - 30 tabl.